Event planners are masters of the game. Event planners are experienced in just that: event planning! An experienced event planner has seen and done it all. Most veteran event planners can lend their firsthand experience on those weddings, business meetings and Bar Mitzvahs we mentioned before. They’ll be able to tell you what works and what doesn’t. Think you can get away with hot dogs and cheeseburgers at your elegant, plated wedding? A wedding planner will offer alternatives that might be a little more appropriate. They’ll know what decorations you’ll need, and help you find the right venue for you. They’ll evaluate all aspects of your event and find the things you didn’t think of – for example, you’re A/V equipment for that big presentation at your next business meeting. Basically, your event planner is an expert at planning an event, so you don’t have to be. Event planners know people. Lots of people. One thing that all event planners have is an extensive list of contacts. You want a theme wedding, but which florist do you choose? An experienced wedding planner will know the right contacts that can accomplish what you want for your event, and one who will fit with your personality and style as well. Event planners also know how to negotiate and plan along with other services, so you are sure to get what you want, at a price that meets your budget. Event planners will help you put your best foot forward. Event planners will help you make the most of your event. They know the tips and tricks to make your event truly memorable. They can help you pick out the right amount of food you’ll need, what kind of event will work with your needs, help with the decorating, place settings and a whole laundry list of things that can make your event the best it can be! Event planners mostly come with a cost, though. Most event planners can cost you hundreds if not thousands of dollars for their services, depending on the event. 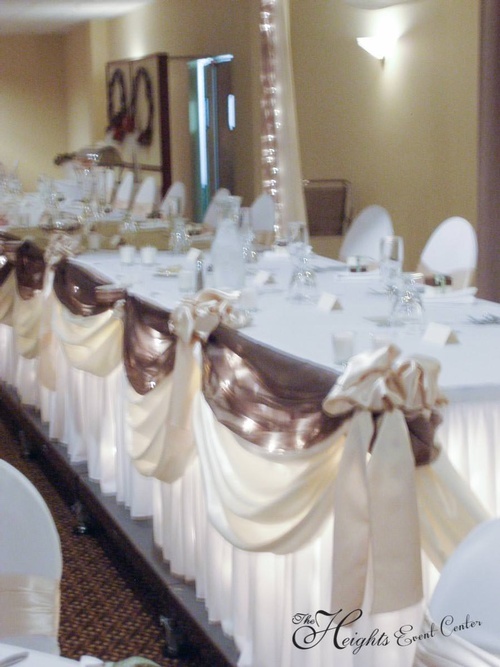 However, at The Heights in Verona, we have our own in-house event planners that are available for you when you book an event at The Heights! What’s more, they have the experience to know the ins and outs of The Heights. That’s a level of familiarity that very few other event planners can say. So trust in our event planning staff, and when you’re considering your options to hire an event planner, give us a call first!